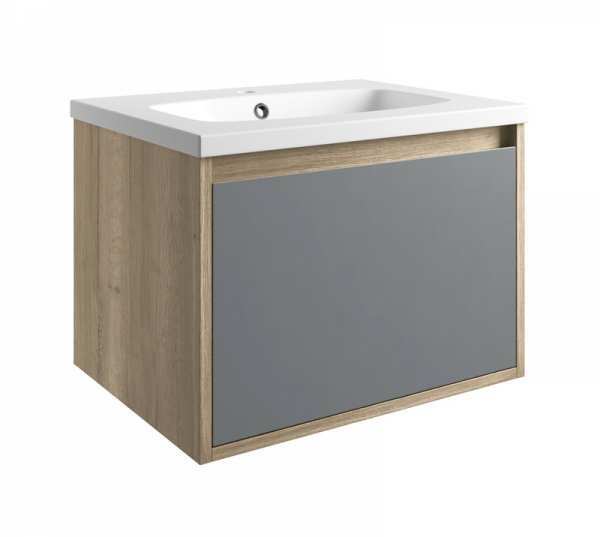 602 x 425 x 450mm (WxHxD) single drawer vanity unit in halifax oak and matt grey. 1 tap hole resin basin included. Wall Mounted.